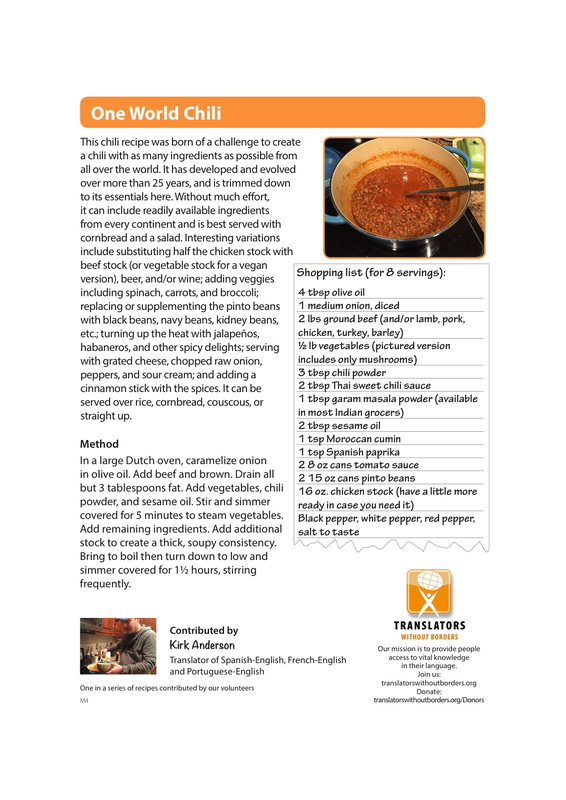 This chili recipe was born of a challenge to create a chili with as many ingredients as possible from all over the world. It has developed and evolved over more than 25 years, and is trimmed down to its essentials here. Without much effort, it can include readily available ingredients from every continent and is best served with cornbread and a salad. Interesting variations include substituting half the chicken stock with beef stock (or vegetable stock for a vegan version), beer, and/or wine; adding veggies including spinach, carrots, and broccoli; replacing or supplementing the pinto beans with black beans, navy beans, kidney beans, etc. ; turning up the heat with jalapeños, habaneros, and other spicy delights; serving with grated cheese, chopped raw onion, peppers, and sour cream; and adding a cinnamon stick with the spices. It can be served over rice, cornbread, couscous, or straight up. 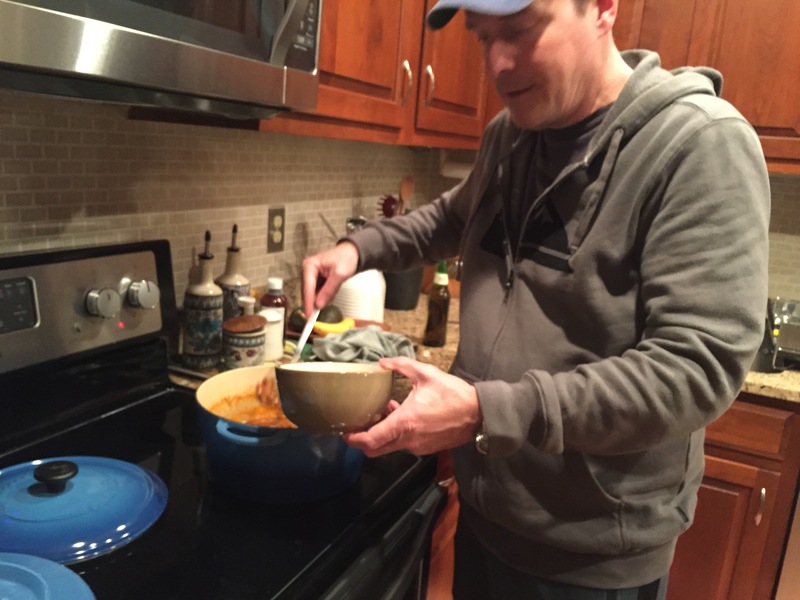 In a large Dutch oven, caramelize onion in olive oil. Add beef and brown. Drain all but 3 tablespoons fat. Add vegetables, chili powder, and sesame oil. Stir and simmer covered for 5 minutes to steam vegetables. Add remaining ingredients. Add additional stock to create a thick, soupy consistency. Bring to boil then turn down to low and simmer covered for 1½ hours, stirring frequently.